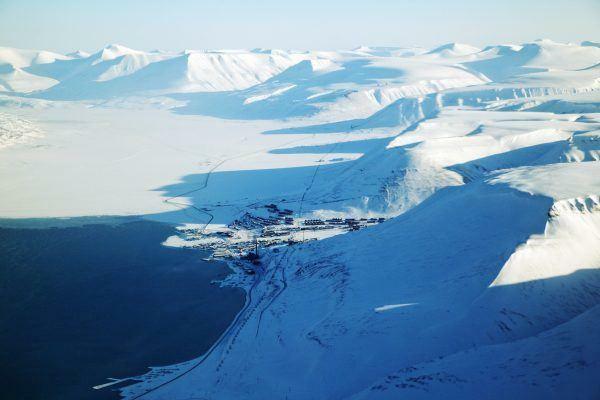 What to pack for Svalbard? Essentially, the best time to visit Svalbard, depends on what you want to do on your arctic holiday. 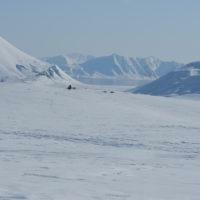 Svalbard has very distinct seasons and when to go depends on the experience you are looking for. As the light returns after long and dark polar night, the activity and energy levels on the islands increase – for both people and wildlife. Everyone wants to get out, to see and explore the island. As the daylight grows longer, so do the lengths of the trips. By end of April, midnight sun has returned to warm the landscape. Seals are laying on the fjord ice while people are enjoying their lunch break, both basking in the sun’s warm rays. This is a fantastic time of year for exploring the wilderness on this remote destination. 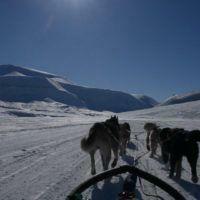 Spitsbergen by snowmobile, dog sled or skis. In wintertime you can go snowmobiling or dog sledding, visit ice caves, or ski across the land or touring down the mountain sides. The trips vary from a couple of hours to full-day trips or overnight adventures. Longer expeditions vary from a couple of days up to a week. During the expeditions you will have the chance to visit some of our outer stations; Isfjord Radio Adventure Hotel, Nordenskiöld Lodge, experience easy living tent camps or sail with SV Linden. 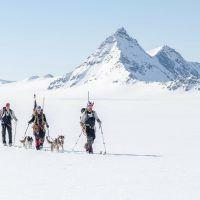 From the end of March we have a perfect time for longer expeditions, with dog sleds or on skis. After mid-May the snow quickly disappears. Small flowers start to appear along the mountainsides. The rush of bird life replaces the quiet of winter. You can hear glaciers calving, and see vast blue fjords filled with floating ice. 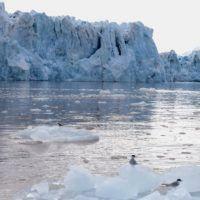 This is summer time on Spitsbergen. The midnight sun makes it possible to explore Spitsbergen day or night – whichever suits you best! There is plenty to choose from. Pick a boat safari, go hiking, or try kayaking, joining a dog sled on wheels or hike on a glacier – or simply relax and enjoy yourself. In the summer you can join a boat safari, go kayaking, glacier hiking, wheeled dogsledding, or hiking in the mountains. Summer time is perfect for observing fauna and flora. 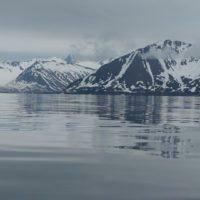 Walruses and whales are both also returning to Isfjorden in larger numbers. 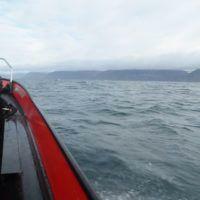 We offer a good selection of diverse day trips from Nordenskiöld Lodge and Isfjord Radio. But to discover the real Arctic we recommend that you take a couple of extra days to visit Isfjord Radio, or join the Adventure Week at Nordenskiöld Lodge for a full package of Arctic activities. By the end of October the last rays of the sun disappear below the horizon, and Svalbard heads towards a period of darkness. For more than two months, between mid-November and the end of January, darkness prevails around the clock. During the darkest times there is no telling if it is noon or midnight. When the sky is clear, stars light up the sky. The Northern Lights and a full moon bounce their light from the snowcovered mountains, and suddenly the darkness doesn’t seem so overwhelming. By February, the light returns slowly. Light blue, pink, and purple colours light up the scenery. Finally, the sun hits the first mountain peaks. In the polar night you can go dog sledding, skiing or hiking in the darkness, or go snowmobiling. 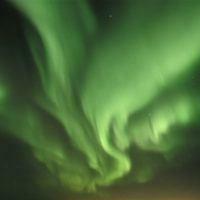 During the polar night only day trips are available from Longyearbyen.